Microsoft recently announced Community Technology Preview (CTP) 2.0, the first production-quality preview of SQL Server 2017. To help our independent software vendor (ISV) partners leverage the latest enhancements, we are expanding our Data Accelerator program to support SQL Server 2017 on Linux. Both SQL Server 2016 SP1 and SQL Server 2017 include many performance and security innovations that can be leveraged with minimal changes to the application. These include features such as In-Memory OLTP, which uses memory as the main primary store for fast access backed by a copy of this data on disk for durability, and Always Encrypted, which helps prevent access to highly sensitive data in the database by enabling enhanced client drivers to automatically encrypt and decrypt the data. Because the key is stored outside of SQL Server, anyone with access to the database would only ever see cipher text. These programmability features are built on SQL Server, the database with the least number of vulnerabilities of any major database over the last seven years in the National Institute of Standards and Technology (NIST) vulnerability database. These features and many more are available across all editions, on Windows and Linux, adding value to your application. Learn more about the programmability changes we introduced in SQL Server 2016 SP1 in this video. With SQL Server 2017, Microsoft continues to add new programmability and performance features to support modern applications with improvements such graph data support, online index rebuild, and Adaptive Query Processing. Applications can create, store, and analyze graph data, which includes the ability to query across SQL tables and graph data. With resumable online index rebuild, you can resume a paused index rebuild operation from where the rebuild operation was paused rather than having to restart the operation at the beginning. And new in SQL Server 2017, we’re also adding the Adaptive Query Processing features that automatically keep database queries running as efficiently as possible without requiring additional tuning from database administrators. In addition to all these features, innovations to SQL Server 2017 engine have led to a world record in the TPC-H 1TB data warehousing workload (non-clustered) benchmark. The benchmark was achieved with SQL Server 2017 on Red Hat Enterprise Linux.Learn more about 2017 CTP 2.0 here. With a consistent programmable surface area between SQL Server on Linux and SQL Server on Windows, minimal changes are required to make existing applications support SQL Server on Linux. In some cases, the only application change required to support SQL Server 2017 on Linux is just the connection string. Watch this Channel 9 video to see a demo of application compatibility between SQL Server 2016 on Windows and SQL Server 2017 on Linux. As you get started with SQL Server on Linux, continue to develop, test, and deploy your application with SQL Server on Linux using all the existing tools you are familiar with. 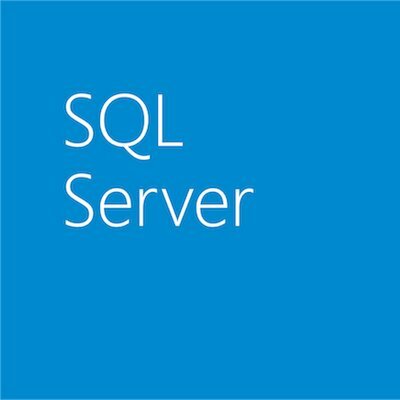 Client drivers such as ODBC and JDBC, along with all existing SQL Server tools such as SSMS, will continue to work with SQL Server on Linux. In addition to existing tools, you can leverage SQL Server running in containers to simplify DevOps scenarios. Microsoft Data Accelerator provides access to Microsoft’s highly reliable, automated SQL Server upgrade service, now supporting upgrades to SQL Server 2016 as well as SQL Server 2017 CTP adoption path. Backed by the rich experience of upgrading thousands of applications, Data Accelerator enables you to modernize your applications and provide a broader range of platform choices to your customers. Click here to learn more and qualify for Data Accelerator.